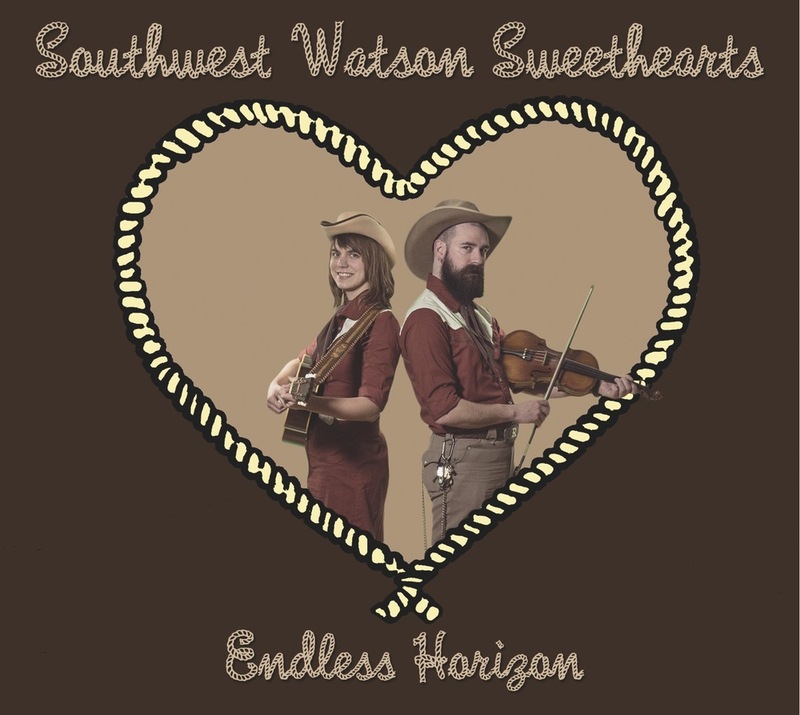 The Southwest Watson Sweethearts live in a one bedroom bungalow near the intersection of Southwest and Watson streets in south city St Louis, Missouri. Ryan Koenig plays leads on harmonica, fiddle, dobro, and banjo, and Kellie Everett holds down the rhythm on banjo and guitar. The duo’s main strength lies in their timeless vocal harmonies, well-paired vocal timbres, and memorable melodies. As the pair works toward performing primarily original music, their ever-growing catalogue is greatly influenced by extensive travel, a fondness for things forgotten in time, pride of their beloved St Louis and the midwest, and a love of classic country and early American music. Ryan tours the nation and world extensively with the group Pokey LaFarge (Rounder Records), and additionally plays in the Rum Drum Ramblers, Lonesome Cowboy Ryan and His Dried Up Tear Drops, and plays on occasion with the Sidney Street Shakers, Loot Rock Gang, and Jack Grelle. In his free time, Ryan enjoys researching St. Louis and Missouri musical history, cooking breakfast foods during non-breakfast hours, and bowling. Kellie tours the nation with Columbia, MO based blues/soul/rocknroll band The Hooten Hallers and plays in St Louis based groups Sidney Street Shakers and The Loot Rock Gang, in addition to showing up as an occasional guest in Rum Drum Ramblers and Lonesome Cowboy Ryan and His Dried Up Tear Drops. In her free time, Kellie enjoys designing and sewing western wear, transcribing early jazz recordings, and cooking dinner foods during dinner hours.